We’ve heard Nintendo president Tatsumi Kimishima say that the new worldwide sales target for Switch this fiscal year is 20 million units. That would surprise the previous target by about 1.4 times. 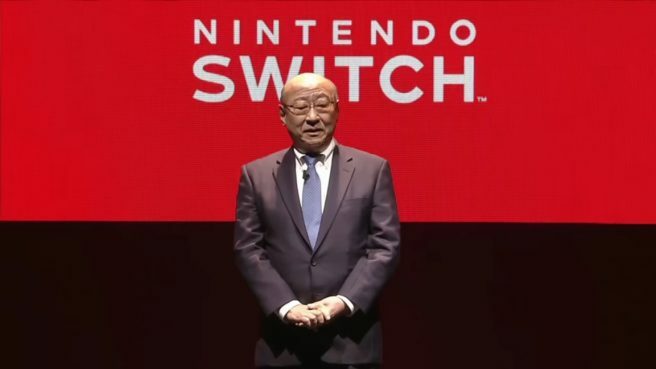 Kimishima was later asked by Mainichi if Switch’s sales numbers can surpass the highly popular Wii. Although there may be some differences based on the region, he believes overall worldwide momentum is rivaling the Wii era. The point that a home console game which is playable in the long-term can be played anywhere at the home or even brought outside has been received very well. Nintendo has reached most of the people who were early adopters because they really like Nintendo’s games. When asked if this momentum can continue, Kimishima said Nintendo’s games are focused on the family demographic. In the future, different sorts of genres will be covered by third-parties, which will help expand the system’s user base. Other companies may also be able to release game consoles that are more interesting, so if Nintendo doesn’t think of new ways to play, the momentum could come to a halt right away. Mainichi also pointed out how people have been saying that the ebb and flow / rise and fall in the games industry is rather extreme. In response, Kimishima noted how any good thing can eventually be forgotten. Also, there is a possibility in the future that the method to deliver surprises to customers may change. To equalize earnings, it is important to always maintain unique ideas.